Every month on the last Sunday. 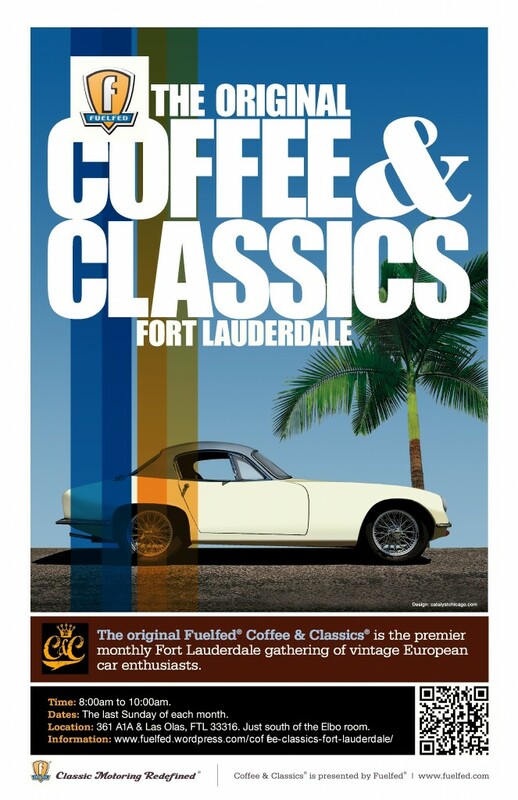 Fuelfed is very proud to now have Coffee & Classics® continuing our monthly tradition of classic European gatherings in the great city of Fort Lauderdale, Florida. South Florida classic European enthusiasts will now have the opportunity to share their passion with other like-minded drivers. Coffee & Classics is not a juried car show, but rather a casual Sunday morning gathering to keep the old gears oiled. This event is not about how much money you paid for the newest Italian super-car, but rather about driving your European classic as it was meant to be driven. From Aston to Zagato, or Alfa to VW, it doesn’t matter, just drive it.